But God, Who forbears and is silent, sometimes judges it right to break His silence. This happened in the case of Angelis - the scourge fell as he was leaving the room where the abominable deed was performed. God delivered him to the power of the devil. Outwardly it appeared that he had been stricken with sudden madness. "Angelis, the wealthy one, is ill!" The rumor spread among the emigrant Greeks. "He doesn't know what he is saying or doing - he has a serious mental illness!" His brothers now had the thankless responsibility of going around from doctor to doctor and from psychiatrist to psychiatrist. They were fortunate they had so much money to spend. He was examined by the most eminent psychiatrists, given the best medicines, and nursed in the most modern sanatoriums, but there was no result. Several doctors said to themselves: "This is a strange illness! It doesn't seem normal. A peculiar case! What shall we do?" His relatives began to understand that Angelis' illness lay outside the jurisdiction of medical science. They remembered he despised the Faith and brought him back to their fatherland, having recourse to the Church and the help of priests. Now in place of drugs he received the exorcism of St. Basil the Great. Their new course of action finally led the possessed man to the Holy Mountain. "Shouldn't you take him to the Holy Mountain, so that some holy hieromonk can pray for him?" several people recommended. This suggestion was immediately adopted, and Angelis with his brothers came to New Skete, where they had some friends. Some time ago in New Skete we met the monk who had received them in his Kalyva, Fr. Eustratios the hagiographer. When we questioned him, he told us the story in detail. He also described the madness of the possessed man. He would carry around four or five round balls like oranges and amuse himself by throwing them one by one into the air with great speed. He would catch them and throw them again, without any falling down. The most skillful jugglers would have envied him! Various kinds of demons torment demoniacs. Some work at midday, others at night, others once a month. Some are deaf or mute, others shameless babblers, etc. Angelis' demon was characterized as "harmful and distorting the mind" and "voluble". Under his influence the unfortunate man ceaselessly chatted and talked to himself, rambling on about all kinds of subjects. His tongue never stopped. The Fathers of New Skete worked hard to drive it out, but were not successful. This demon was very difficult: "His neck was made of iron nerves". They bethought themselves to find some elder "mighty in battle". Such a one was Fr. 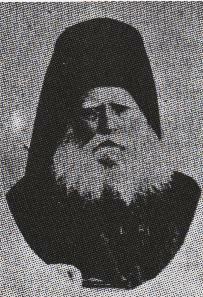 Ignatios the Confessor, who had healed many demoniacs. Thus Angelis was led to Katounakia, where they met Fr. Ignatios and the battle was planned. Fr. Ignatios perceived that much labor would be needed to expel this spirit. 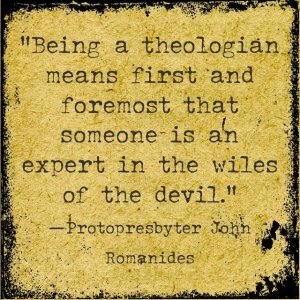 His disciple of the same name would assist him in the struggle, in the Liturgies and exorcisms. For forty days they would fast, perform the Divine Liturgy daily, read the exorcisms, and beg God's mercy. Angelis, by Fr. Ignatios' command, had to go to confession every day and tell his most secret thoughts, and everything that the devil said to him. For thirty-nine days they waged this hard battle, and on the fortieth day the sufferer breathed the air of freedom. The chains which had bound him for so many years were broken. His relief was indescribable. Rejoicing, he returned to his fatherland, and then to America, where, "clothed in his right mind" he continued his life. And never did he forget the Holy Mountain and the venerable Elder Ignatios who had freed him from the devil's tyranny. From Contemporary Ascetics of Mount Athos (vol. 2), pp. 510-512.